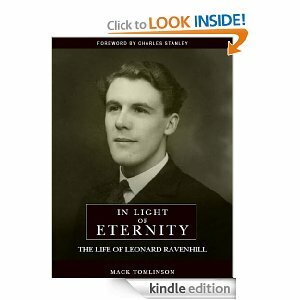 “You could not list to Leonard Ravenhill’s passion for holiness or the grandeur of God without being greatly influenced. You could not observe the way he lived and the intensity of his own heart without being impacted by the man. I have great love and admiration for Leonard. Ravenhill had a great love for the church and a desire for the church to truly be what it should be. His was the paradox of a prophetic ministry. What you preach and long for, even though you do not see it with your eyes, does not diminish the fact of what you know is divine. Though Leonard did not live to see a widespread revival, he was not so much in love with revival as he was with the Redeemer. Passionate men, though they may be disappointed with the expression of the church, still have their hope in the Lord. Though he did not see everything take place that was in his heart, his goal was always God himself. Hey Buddy!, I found this information for you: "What Is Your Life?". Here is the website link: https://thouarttheman.org/2013/08/10/what-is-your-life/. Thank you.